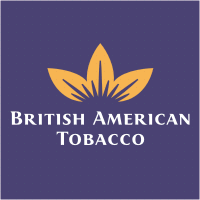 British American Tobacco PLC (NYSEAMEX:BTI) — the world’s second-biggest cigarette maker — is currently up more than 2% following this morning’s interim management statement for the first quarter of 2013, in which the company reported revenue growth of 5% (on a constant current basis) despite difficult market conditions. Some markets saw growth in tobacco volumes: Increases in Bangladesh, Pakistan, and Vietnam helped drive the Asia-Pacific region’s volumes up 6.6%. But this was more than offset by much lower volumes in Brazil, and market declines in southern Europe, which contributed to a drop of more than 10% in volumes in the company’s Western Europe businesses. Overall, there was a decrease of 3.4% in total tobacco volumes, with those of subsidiaries declining by 3.7%. Better headline news came from the company’s four “Global Drive” brands, which saw a 1% increase in overall volumes, with strong growth in the group’s top 40 markets. But the detail was decidedly mixed. While two of the four were up — Dunhill volumes increased by 5% and Pall Mall’s grew by 9% — the other two were down — Kent was 7% lower, due to market declines in Russia and Japan, and Lucky Strike volumes dropped 9%, primarily because of declines in Spain and the Middle East. Perhaps benefiting from some of the decline in volume of manufactured cigarettes, Fine Cut tobacco, used for “roll-ups,” grew strongly, seeing a 9.5% increase in Western Europe, with Pall Mall — the biggest Fine Cut brand in Western Europe — up 21.2%. This is a good performance against a backdrop of fragile economic conditions persisting in many parts of the world. We have grown revenue, our pricing momentum remains strong and our Global Drive Brands continue to perform well. It is a good start and I remain confident of another year of earnings growth in line with our long term strategic goals. British American Tobacco PLC (NYSEAMEX:BTI)’s yield currently stands at around 4.2%, forecast to increase to more than 4.6% in 2014, which is comfortably above the FTSE average of around 3.6%. The article British American Tobacco Rises on Q1 Growth originally appeared on Fool.com. Jon Wallis has no position in any stocks mentioned, and neither does The Motley Fool.